There’s a seemingly endless range of hair care products available on the high street these days – from expensive shampoos and conditioners to fancy thickening hair serums and mousses…all promising to deliver those beautiful, glossy locks that you’ve been dreaming of. The problem is that they never seem to live up to the optimistic marketing claims made on the swish packaging or those impossibly glamorous TV commercials, and often leave your hair looking disappointingly dry, brittle and lifeless instead. That’s because shiny, lustrous locks start from within, not from without – which means that only a wholesome diet will have the desired outcome on the health of your hair. In this article you’ll learn more about your hair, what makes it dry, dull or brittle, and discover how to achieve healthy looking tresses with the help of a few carefully chosen superfoods that promote beautiful hair. You have an average of 5 million hairs spread across your body. Hair grows everywhere except for your lips, the palms of your hands and the soles of your feet. Its primary function is to insulate and protect your body – the hairs on your head, for example, help to keep your body warm (the majority of body heat is lost via your head), whilst the hair on your eyelids and in your nose help to protect you from airborne dust. Most hair grows for up to 6 years before finally falling out, after which new hair flourishes from the same root. Unfortunately most women notice a marked change in the growth rate, density and diameter of their hair after the menopause. Indeed, scientific research has revealed that a woman’s hair density increases between the ages of twenty and forty, and then decreases again. Your hair density – how closely individual strands of hair are packed together on your head – determines the volume of your hair and is at its greatest among women between the ages of twenty and thirty. Yet, although you cannot avoid the aging process altogether and your hair will inevitably become thinner as you grow older, you can help to maintain beautiful, shiny hair simply by enjoying a healthy diet that incorporates a number of superfoods for healthy hair. What causes dry, dull and lifeless hair? Like many, you’re probably damaging your hair without even realising it – it starts from the very moment you take your morning shower and begin smothering your hair in shampoos and conditioners, which commonly contain aggressive chemicals that dry out your hair and scalp. It’s therefore wise to switch to a shampoo and conditioner made from natural ingredients – before doing so it’s best to detox your hair thoroughly by washing out any harmful residue using a special detox shampoo available from all good health stores. Blow-drying your hair afterwards causes yet more damage (as does exposure to environmental factors, such as dry air arising from central heating in the winter and air conditioning in the summer, chlorinated water in swimming pools and excessive exposure to the sun) and ultimately leaves your hair dry and brittle. In addition to hair care products and environmental factors, many other aspects may have an impact on the health of your hair, including genetic influences, hormone levels, medication and autoimmune diseases. 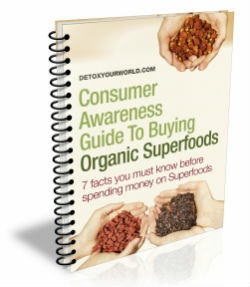 And, as already mentioned, your diet is fundamental! The health of your hair begins with your skin – in fact, your hair is actually dead and it is only your hair follicles (which are located in the skin) that are alive. Just like other cells, tissues and organs in your body, your hair follicles require a constant supply of nutrients in order to remain healthy. So, beautiful hair naturally demands a varied diet that incorporates a number of powerful superfoods rich in the nutrients that specifically nourish hair follicles and promote healthy looking hair. It’s also best to avoid foods that are taxing on your body and can trigger allergies and intolerances, such as dairy products and cereals containing gluten, as this not only affects the health of your hair, but also the rest of your body. A water-soluble B-vitamin (vitamin B7) that’s also known as vitamin H or coenzyme R. Those with a biotin deficiency often suffer from dull, lifeless hair as well as hair loss. Selenium is an important trace element that serves as a cofactor for enzymatic processes and helps to keep hair healthy. 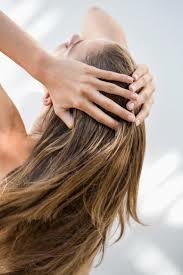 A selenium deficiency can lead to dull and lifeless hair. Zinc is an essential trace element that is required for the renewal of cells and tissue. As well as helping to keep bones, hair and skin healthy, zinc also promotes improved memory, a strong immune system and a enhanced fertility. Furthermore, zinc plays an important role in building and breakdown of carbohydrates. In addition to dull, lifeless hair, a zinc deficiency can lead to uneven skin tone, a poor sense of taste and smell and in severe cases, even stunted growth and malnutrition. Especially vitamin A, which helps your body to produce sebum (a scalp oil that acts as a natural hair conditioner) and combats dandruff, vitamin C, which your body requires for the manufacture of the collagen that gives structure to hair, and vitamin E, which helps to prevent split ends, improves scalp circulation and promotes the growth of healthy hair. Hair is made from protein, so it’s important to make sure that you obtain sufficient protein from your diet. According to the American Academy of Dermatology, if you don’t receive enough protein, your body will start to ration the protein it does have, possibly reducing hair growth and leaving your hair dry and brittle. In fact, a sustained low-protein intake of more than three months can even trigger noticeable hair loss. Lastly, omega-3 fatty acids help to boost the volume and shine of your hair.